Bitter Root Vintage is a Detroit-based boutique with a lovely selection of vintage and reproduction clothing and accessories. The shop is currently stocked with holiday dresses, swanky accessories and lots of bright colors to carry you into spring. Love That Lingers is a Denver-based vintage boutique on etsy with a beautifully curated selection of vintage clothing, home decor and accessories. For flash sales, giveaways and exclusive coupon codes, make sure to like Love That Lingers on facebook! There will be lots of new things coming to the shop soon. 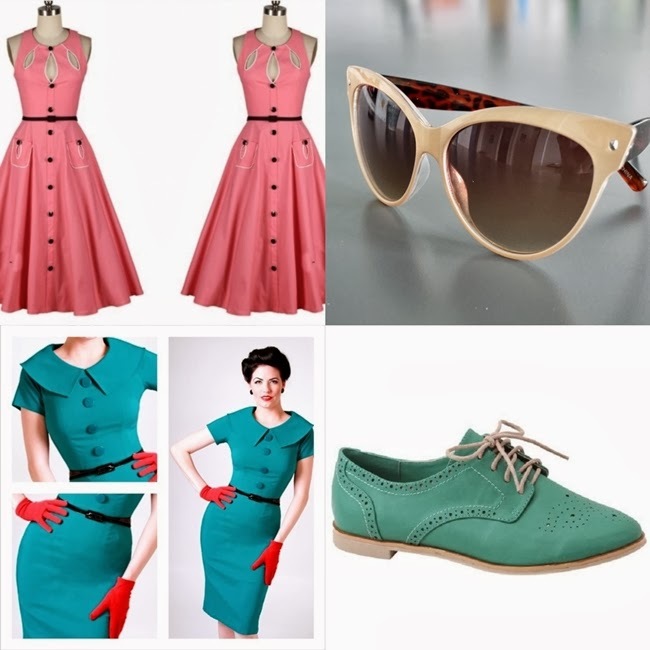 One of my favorite online shops, Plasticland carries a whimsical assortment of clothing, accessories and home decor with a retro twist. 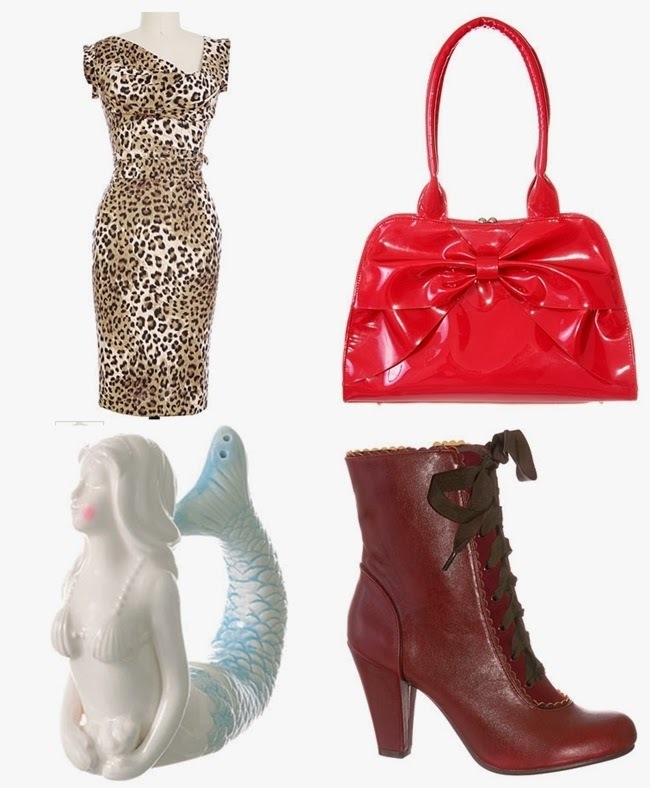 Shop fabulous patent handbags, sassy skirts, killer shoes and more, all at Plasticland. US orders get free shipping on orders over $75. Also, sign up for the mailing list for the hottest new arrivals and first pick of sales. Lady Eve Millinery is owned by Amy Koch, a milliner who makes vintage inspired hats using vintage techniques. This summer, Amy launched an incredible line of straw hats but now that the icy weather is upon is, she's been working a lot of beautiful jewel tones and wools into her designs. 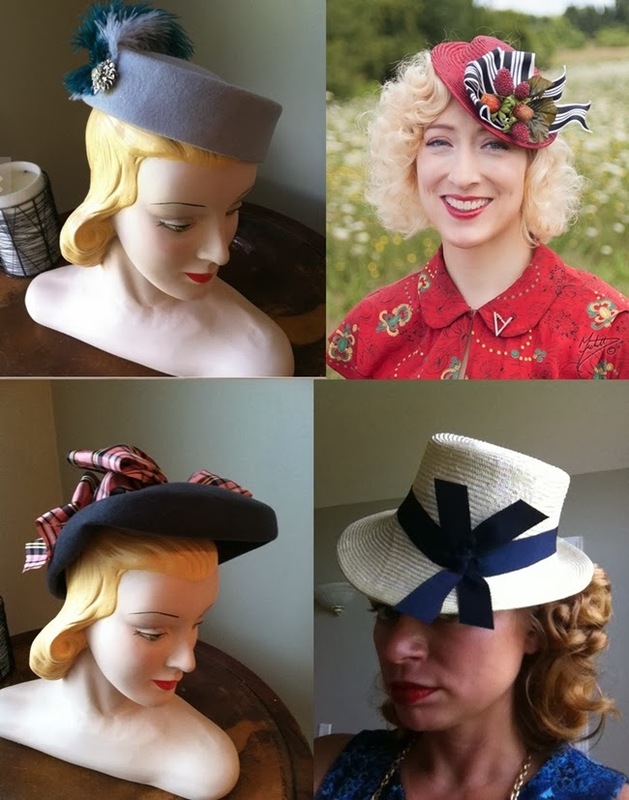 Keep an eye on this blog after the holidays for a truly fab giveaway from Lady Eve Millinery! I've been swooning from afar over Plasticland's offerings for years, and though I've included quite a few in my posts before, I've never bought from them myself, as I feel their shipping rates to Canada are too high (unless they've changed them recently and I'm not aware of such). I don't hold this against them and don't say it negatively per se, it's something I run into far too often with companies in the States. I just mention it because I'm sure if would have shopped from years ago had said shipping rates been more reasonable.